The Buddha - The Story of Siddhartha DVD Review All in all, if you're interested in the history of the Buddha, this is a one documentary release that will answer most of your questions and maybe leave you asking for more. 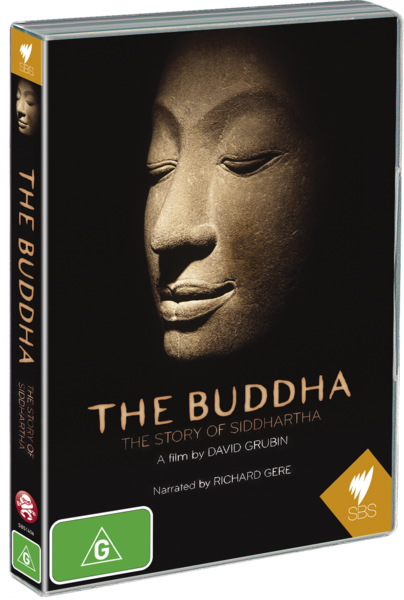 This insightful documentary by award-winning filmmaker David Grubin recounts the life and times of the Buddha through the ages which starts in the shadow of the Himalayas, his birth place and moves to the present. Narrated by Richard Gere, also a Buddhist, he takes the viewer on an amazing journey through the life and teachings of Siddhartha Gautama which is filled with easy to understand information and some amazing artistic interpretations of this holy individual. This two part documentary is also littered with interesting interviews by historians and modern Buddhists such as poet W.S. Merwin and the Dalai Lama. 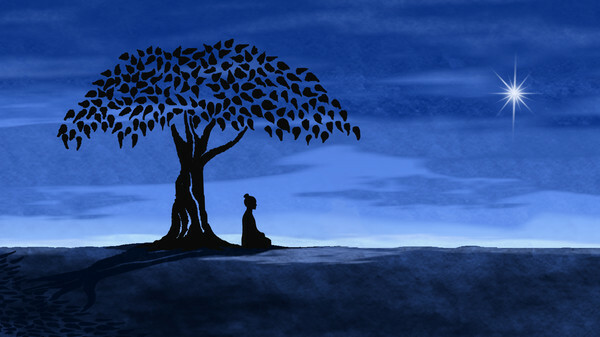 Although I know of "Buddha", I was not privy to his history and was surprised to know that Prince Siddhartha went from decadence to deprivation until one day, under that famous fig tree story, he found enlightenment. With that said, the information in this documentary is quite fascinating to watch unfold as the birth of the Buddha spawned this amazing religion and more importantly, philosophy that preached peace. I love some of the explanation by Western Scholars such as Jane Hirshfield who helps explain the idealism behind Buddhism and how it evolved to what it is today. 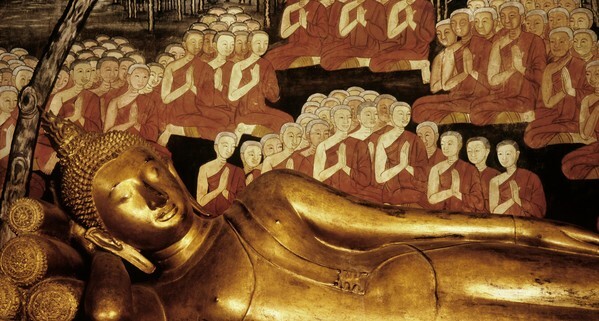 To help explain the story and the explanations, the documentary is laced with a stylised form of a animation (see above screenshot) to further assist the viewer in understanding these concepts as many Buddhists. One such explanation was that of the Eightfold Path which is a journey to end suffering and if only more people followed the philosophies of Buddhism, the world may be a better place. From interesting interviews, wonderful cinematography and some amazing artistic interpretations, The Buddha - The Story of Siddhartha is a must see documentary for those that want to know more about one of the world's most influential historical and holy figures. Once again, this is another stellar release from Madman thanks to its widescreen presentation, vibrant colours, sharp images and deep blacks. It may not be Blu-ray but it's quite good for DVD. All in all, if you're interested in the history of the Buddha, this is a one documentary release that will answer most of your questions and maybe leave you asking for more.